Wow! You will love this totally rehabbed 3BR, 2 full bath home! Walls have been moved, a full bath added, closets added, lots of new drywall, refinished hardwoods, totally "gutted" kitchen! 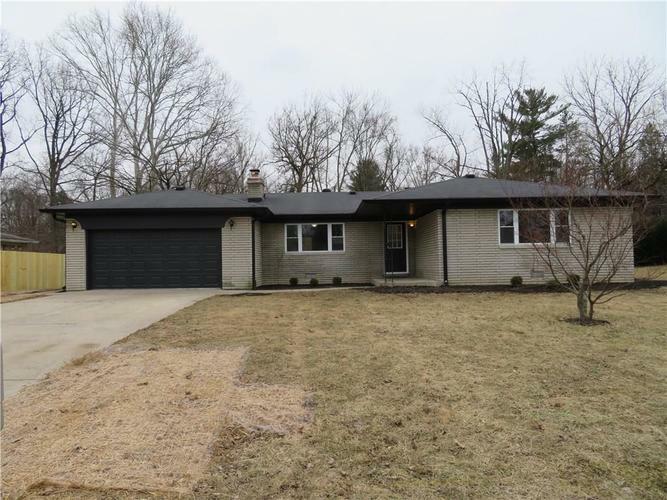 New privacy fence, garage door opener w/controls, brand new water heater, black appliances, new 200 amp service, new water lines, new insulation, new patio and exterior doors. HUGE bedrooms with hardwood floors, overhead lighting and large lighted closets are a plus! I love the 5" baseboards and the awesome master shower! Large patio and rear yard. Check it out today!!! Directions:From 56th and Michigan Rd, North on Michigan Rd to Fox Hill Dr, East to Gifford, follow to Copenhaven, home will be on your right.